The Ivy Granger series is an award-winning urban fantasy series written by E.J. Stevens. 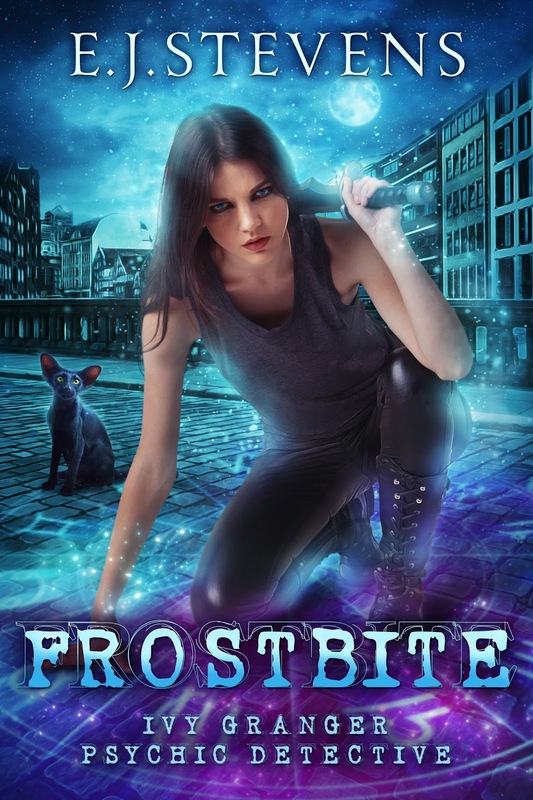 The series is told in the first-person point-of-view of Ivy Granger, a psychic detective with ties to the paranormal underworld of Harborsmouth—ties that ensnare Ivy and her friend Jinx in the Machiavellian schemes of the city's teeming population of bloodsucking vampires and psychotic faeries. Marvel's Jessica Jones meets Jim Henson's Labyrinth. 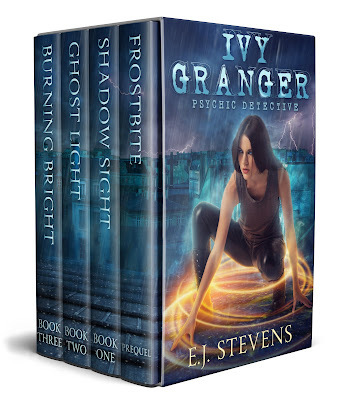 Note: Each book in the Ivy Granger World is a whole story with a beginning and an ending. However, it is recommended that you read the books in order, as each book references previous books. 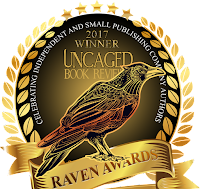 Winner of the 2018 Imadjinn Award for Best Short Story. Frostbite now available in multiple languages! Shadow Sight now available in multiple languages! Blood and Mistletoe now available in multiple languages! Ghost Light now available in multiple languages! Club Nexus (Ivy Granger #2.5) by E.J. Stevens. 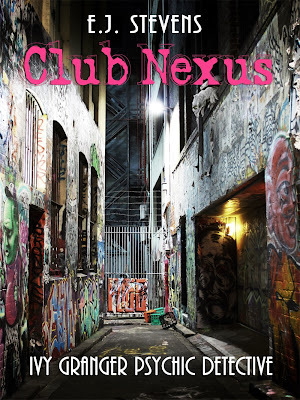 Club Nexus now available in multiple languages! 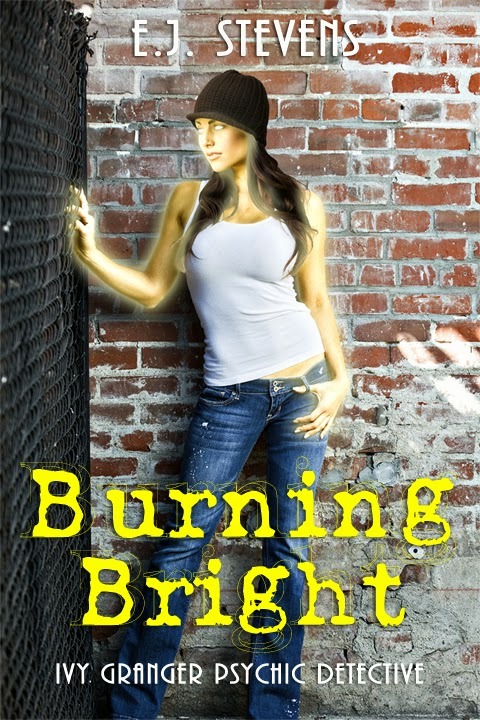 Burning Bright is the third full-length novel in the Ivy Granger urban fantasy series. 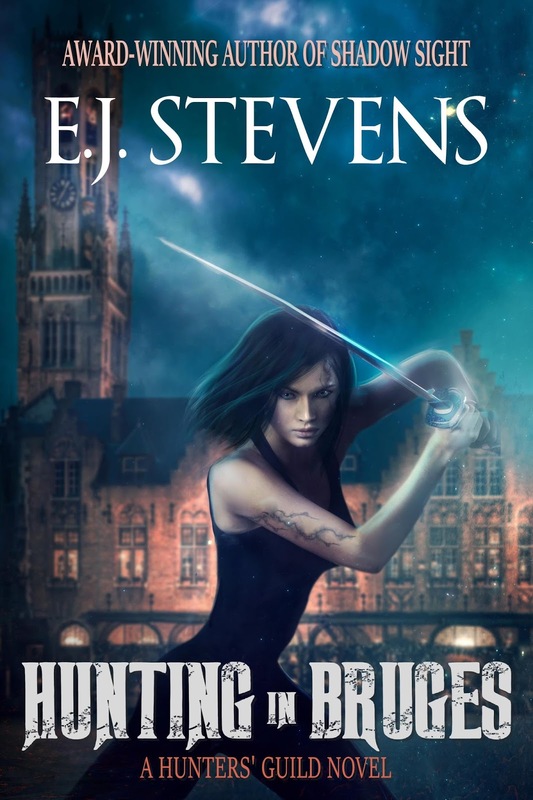 Burning Bright takes place simultaneously with Hunting in Bruges the first novel in the Hunters' Guild series. Burning Bright translations coming soon. 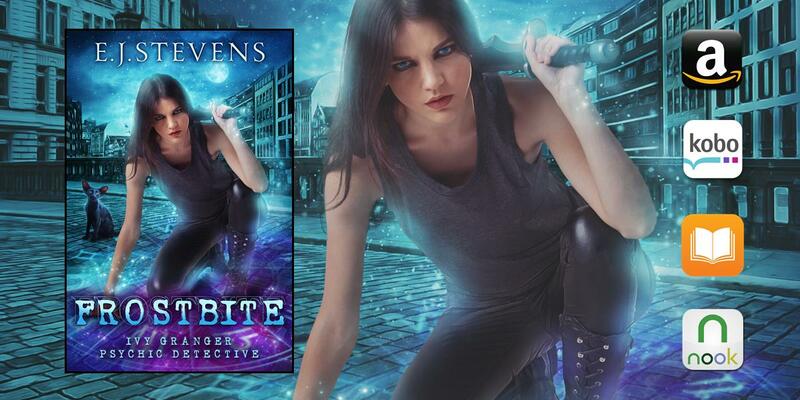 Birthright is the fourth full-length novel in the Ivy Granger urban fantasy series. Hound's Bite translations coming soon. 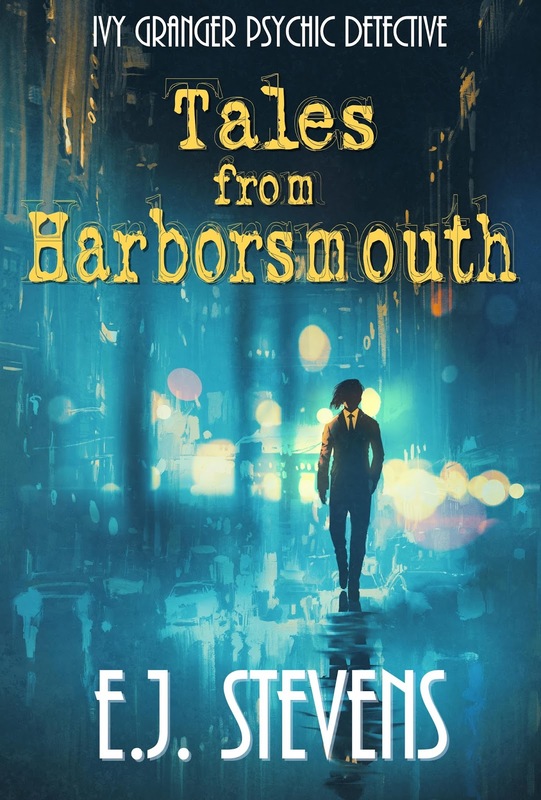 Tales from Harborsmouth translations coming soon. 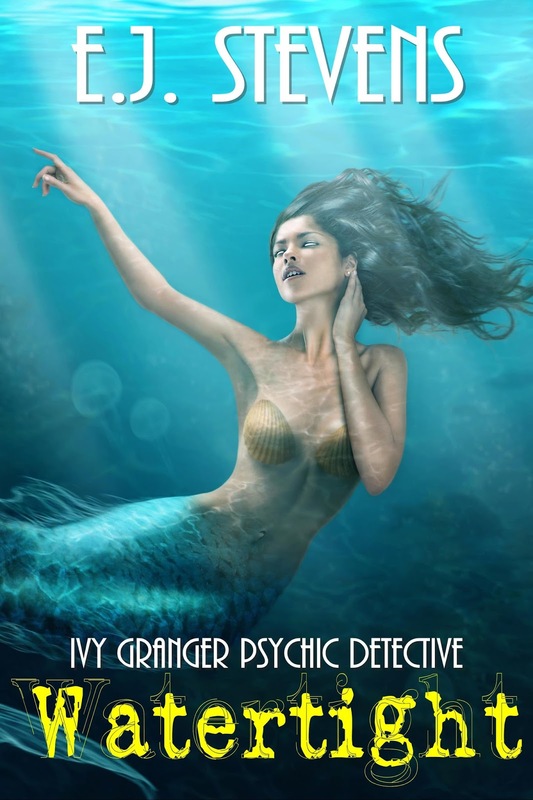 Ivy Granger psychic detective takes on a simple grave robbing case, but in Harborsmouth nothing is ever simple when dealing with the dead. 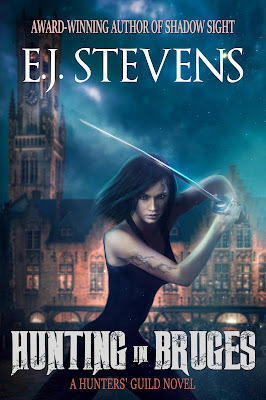 BLOOD RITE is the sixth full-length novel in the award-winning Ivy Granger urban fantasy series by E.J. Stevens. Warning: This book features necromancy, grave robbing, an abandoned amusement park, and zombie clowns. 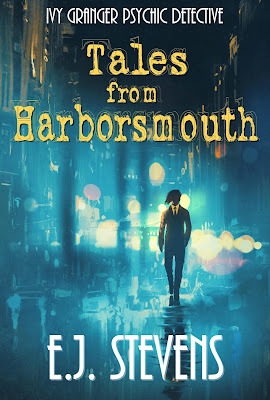 On the eve of Jinx and Ivy's double wedding, a sinister figure is terrorizing Harborsmouth. 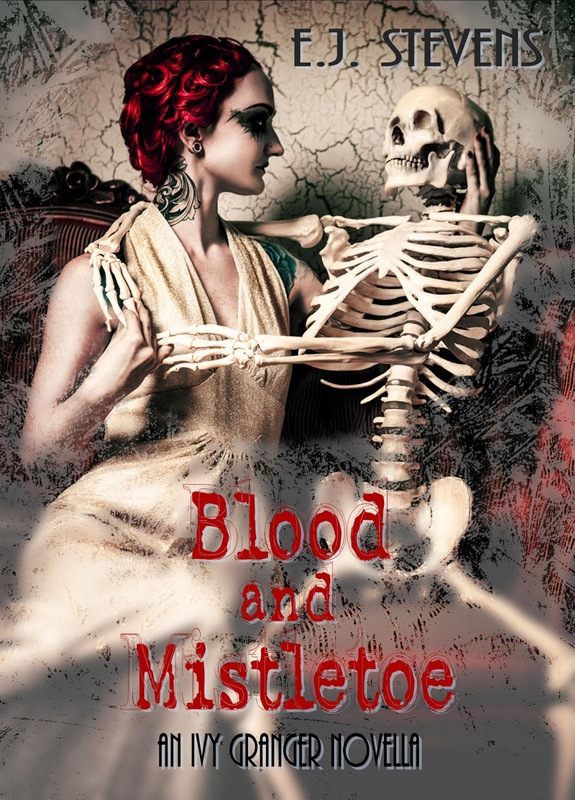 When reports of a homicidal jilted bride threaten their wedding plans, Ivy and Forneus set out to put a stop to the string of heinous acts. What they discover might just send the faerie and demon straight to Hell, and set Ivy on a path to rectify more than one evil deed. 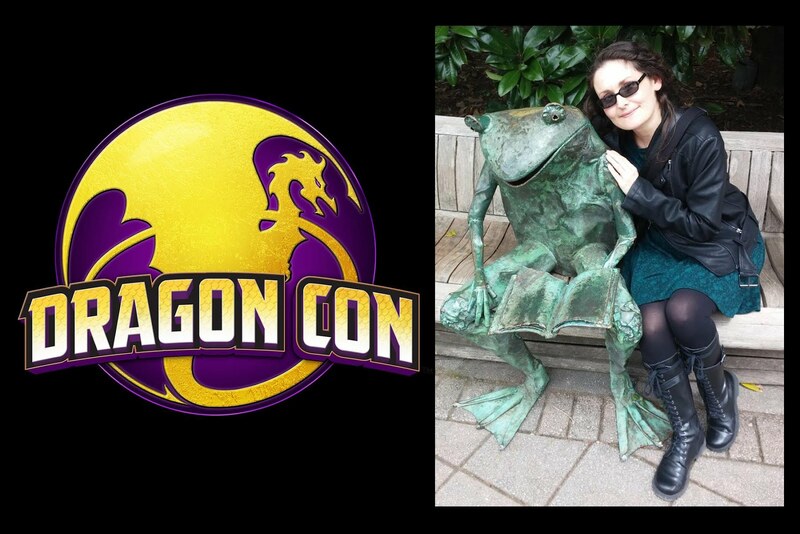 Will Ivy tie the knot with her kelpie king, or will she be saying "I do" to the king of Hell? Her father's curse is on the line, and lives hang in the balance. No pressure. Paris, the City of Light. The City of Love. Too bad it's crawling with vampires. 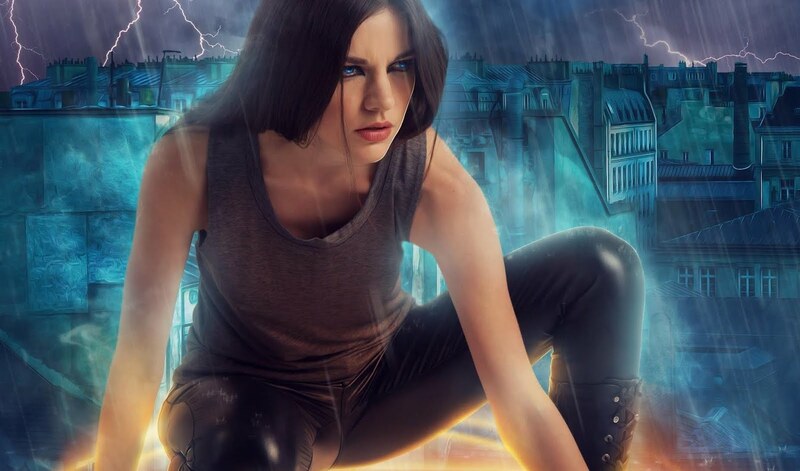 Hunting in Paris is the second novel in the Hunters' Guild series set in the world of Ivy Granger. The arrival of the Morrigan does not bode well for Ivy Granger. 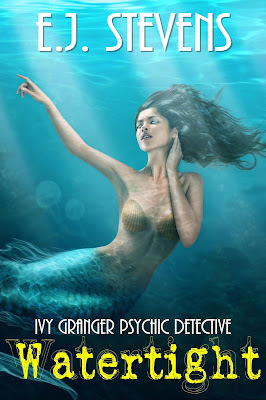 An illustrated encyclopedia of creatures, characters, and settings from the world of Ivy Granger. 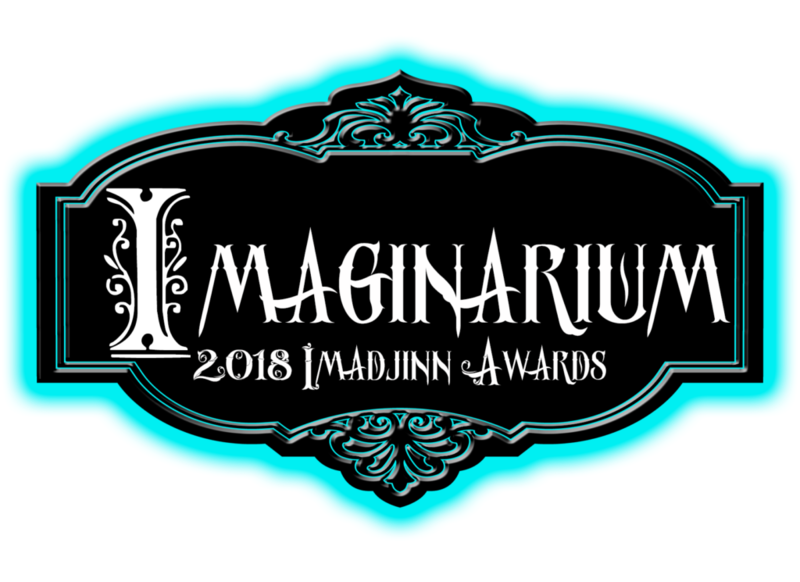 Frostbite wins the 2018 Imadjinn Award for Best Short Story. 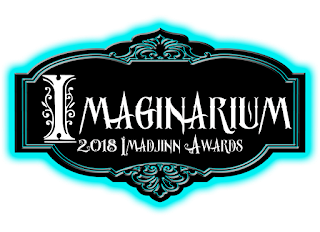 Read the blog post and the Imadjinn Awards Winners Announcement in Locus Magazine. 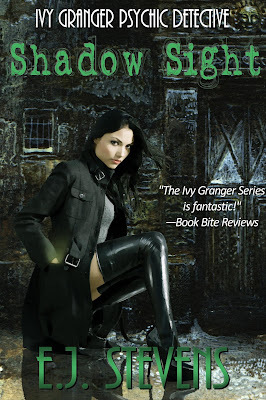 Shadow Sight an Amazon Top 100 Urban Fantasy bestseller for over six months. 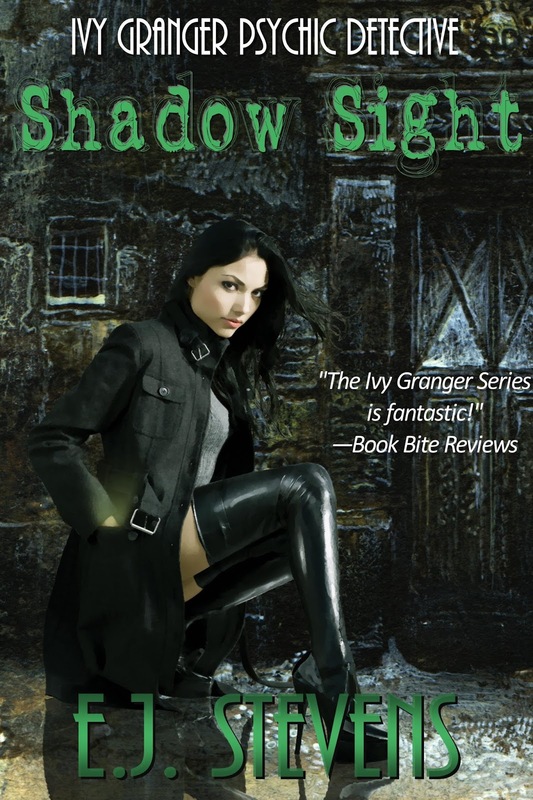 Shadow Sight won third place for Best Paranormal Fantasy Novel in the 2012 PRG Reviewer's Choice Awards. 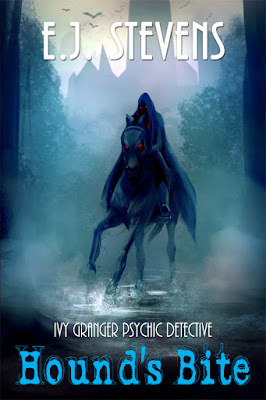 Ghost Light a MHR [Mad Hatter Reads] Top Pick. 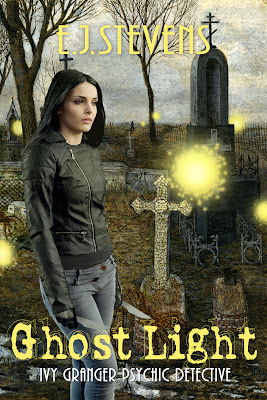 Ghost Light spends release week as an Amazon Top 100 Paranormal Fantasy Hot New Releases and Amazon Top 100 Urban Fantasy bestseller. 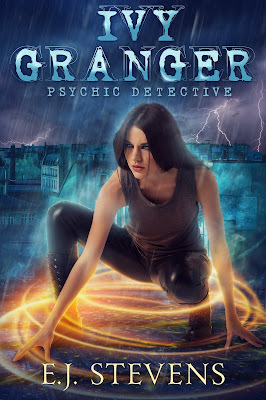 New Hunters' Guild series set in the urban fantasy world of Ivy Granger announced. 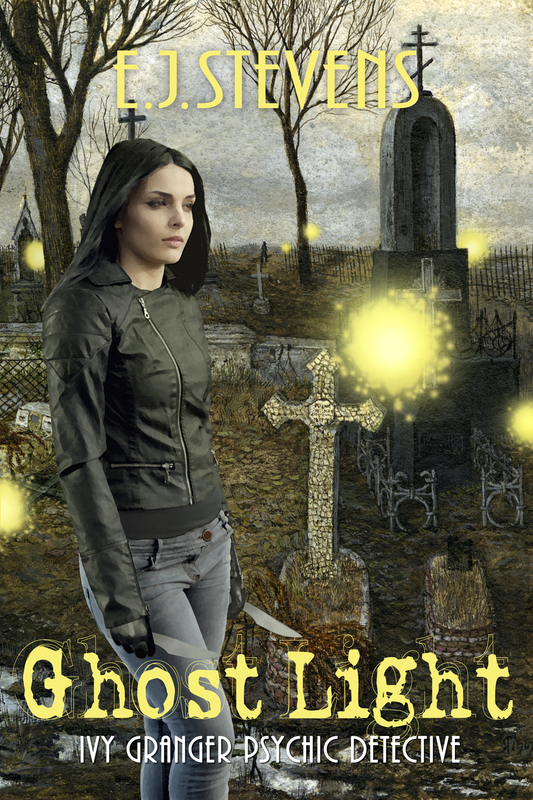 Ghost Light nominated in the 2013 PRG Reviewer's Choice Awards for Best Urban Fantasy Novel. Burning Bright an Amazon Top 100 Urban Fantasy bestseller. E.J. 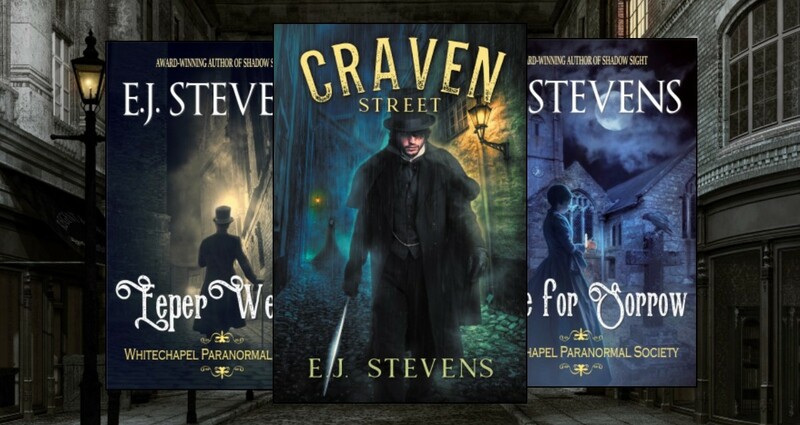 Stevens and Hunting in Bruges featured in the Belgian newspaper Het Nieuwsblad. 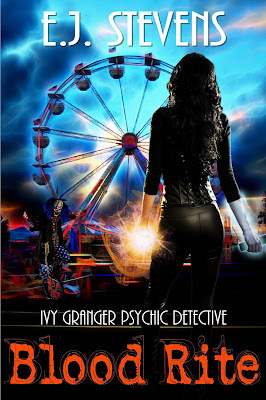 BURNING BRIGHT and CLUB NEXUS both nominated in The Paranormal Romance Guild﻿'s 2014 Reviewer's Choice Awards for Best Urban Fantasy. The IVY GRANGER series nominated in The Paranormal Romance Guild﻿'s 2014 Reviewer's Choice Awards for Best Urban Fantasy Series. BIRTHRIGHT makes Top 10 Best Book Covers of 2015 at Hot Listens. 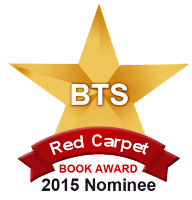 BIRTHRIGHT nominated BEST BOOK and BEST COVER in 2015 BTS Red Carpet Book Awards. BIRTHRIGHT 1st place winner for BEST BOOK in the 2015 BTS Red Carpet Book Awards. 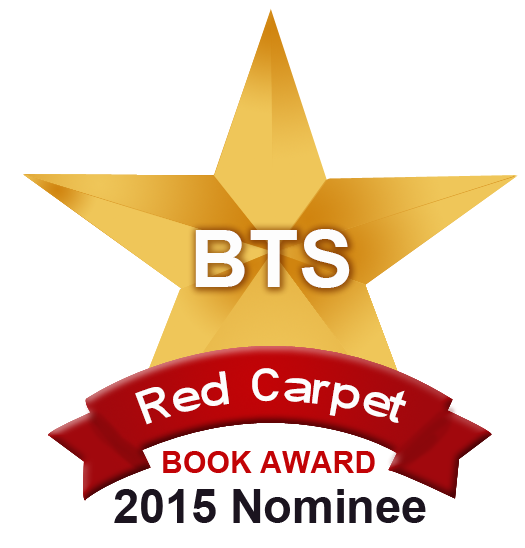 BIRTHRIGHT receives honorable mention for Best Cover in the 2015 BTS Red Carpet Book Awards. 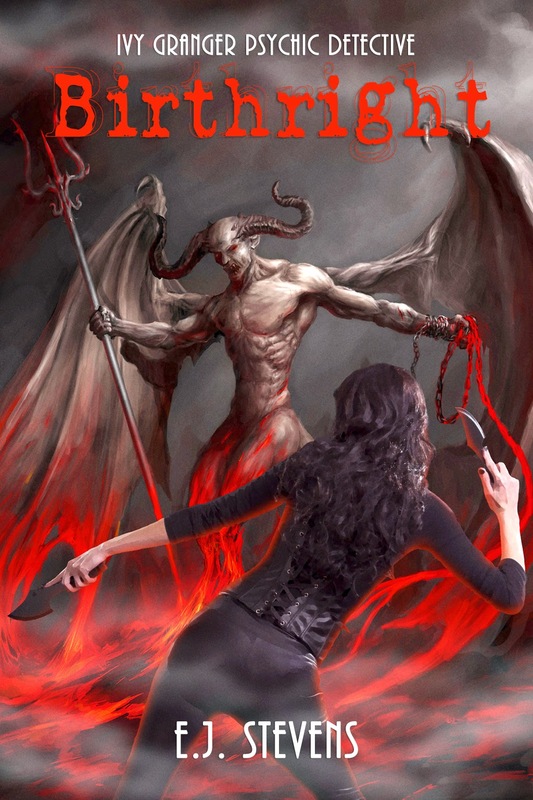 BIRTHRIGHT wins 2015 PRG Reviewer's Choice Award for Best Urban Fantasy Novel. BIRTHRIGHT and HOUND'S BITE nominated for Best Paranormal and Best Fantasy in the 2016 Summer Indie Book Awards. 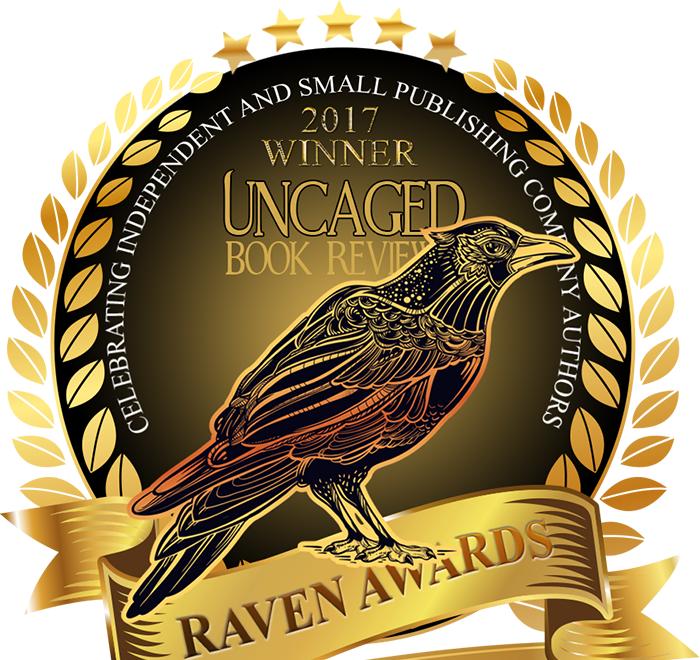 HUNTING IN BRUGES finalist for 2017 Raven Award for Best Urban Fantasy.